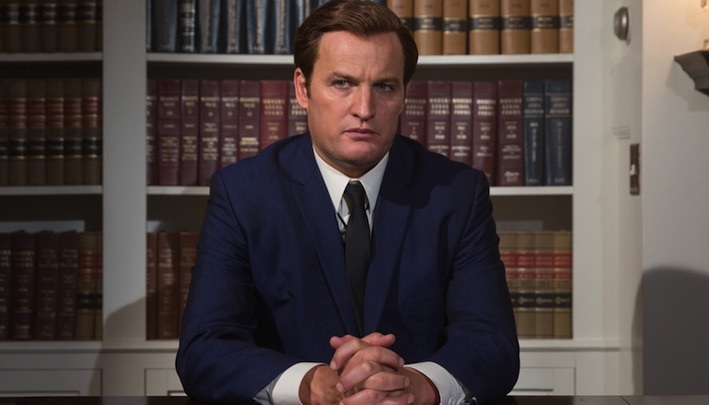 A very Marlon Brando-esque Jason Clarke (Zero Dark Thirty) takes the lead as the last surviving son of Joseph Kennedy’s flagging dynasty in this tale of political intrigue and moral soul-searching. Famously, Ted Kennedy – one of nine siblings – was being groomed to follow in the political footsteps of his successful brothers when misfortune, fitting of the accursed Kennedy family, struck. Ted’s night of misadventure resulted in a car accident that claimed the life of a young campaign strategist, Mary Jo Kopechne (Kate Mara) and Chappaquiddick recounts the story of the ensuing political damage controversy, and the moral quandary that Ted found himself in. Ted’s oppressively patriarchal father, Joseph (played by Bruce Dern with a ruthless dedication to the Kennedy name) operates as the film’s pseudo antagonist as it begins to explore father/son relationships. A sort of Vader/Skywalker dynamic develops as Ted is tempted to give in to his dark ambitions in order to feel accepted by his father, and to have a successful political career. The moral impasse of political opportunity versus honest integrity comes to a head in the film’s final moments — does he come clean about what happened that fateful night, or spin a web of untruths? Those who remember Ted Kennedy’s nationwide televised statement might not feel the tension of Chappaquiddick’s climax as much as the rest of us, but it should still make for an interesting exposé on what happened behind the public exterior. The film tries hard to coax mood out of its audience. Director John Curran’s (The Painted Veil) expressive framing laps up a very broody script – you can almost see the cogs turning, and the film’s manipulative machinations are perhaps a little too obvious in their ironic intent to mirror the Kennedy PR engine. That said, Chappaquiddick does look delicious. Cinematographer Maryse Alberti (The Wrestler) has done a fine job of capturing the feel of the late sixties, colour grading the final product with the golden smokey haze of the time. 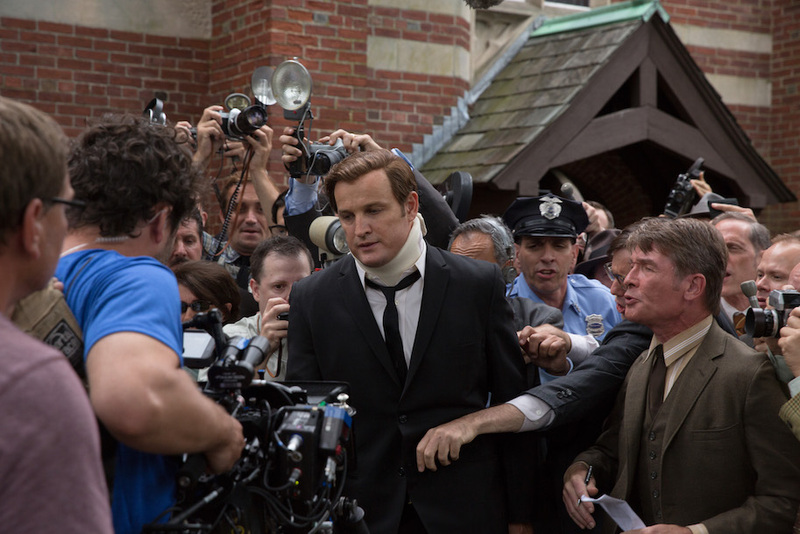 Despite leaving little space to flesh out Ted’s backstory, or to lament Kopechne’s death, the film stays its course and far from feeling undercooked, Chappaquiddick’s laser-like focus succinctly reveals a slice of American history that is quite enthralling and will make you feel glad you weren’t a Kennedy… cue Shona Lang. Chappaquiddick opens in theatres 10th May.